PRICE REDUCED!!! Seller has reduced the price and is ready to sell! Updated and ready to move in! 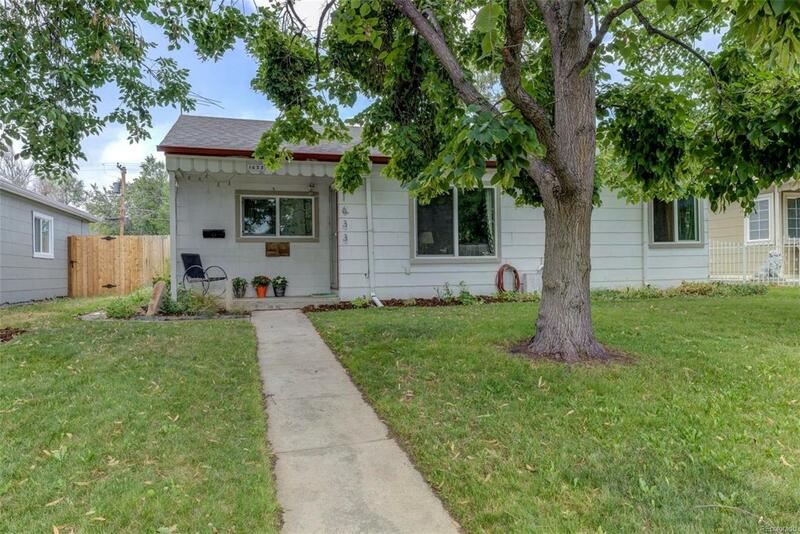 This 3 bed 1 bath charmer is blocks from everything you need. Generous lot with an amazing back yard,(imagine the possibilities!) oversized-672 sq ft-garage and outdoor living spaces. The home boasts plenty of space in the bedrooms, updated bath and kitchen with tons of counter space and cabinets for storage. Refinished hardwood floors throughout. New, new, new and lovingly restored maintaining the home's original charm and quality construction. Entertain in your huge kitchen with dining area or in the inviting back yard and garden. New furnace, electrical, roof, sprinkler, privacy fence and windows. Close to Stapleton, Fitzsimmons, Childrens', Stanley Marketplace and Spencer Garrett Park with the community gardens are only blocks away. Super quiet block(Colfax does not go through on Jamaica.) This could be your first home or a terrific investment opportunity with rents over $2k/mo! Offered by Showcase Properties Unlimited.